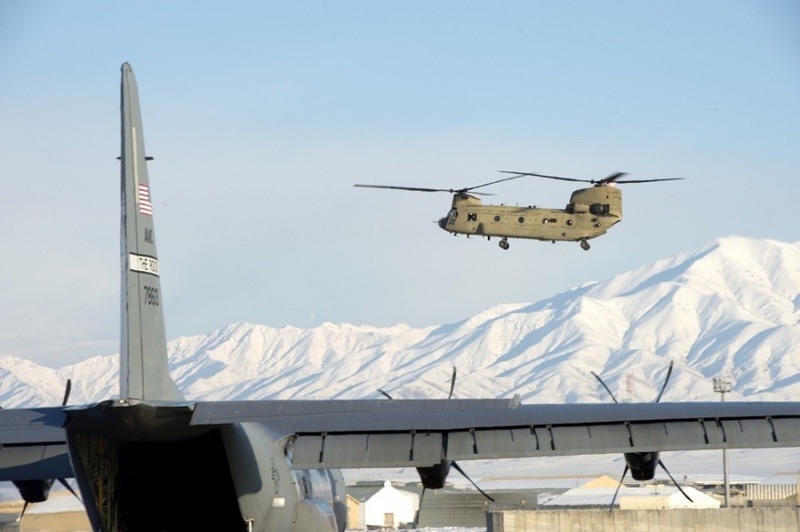 U.S. Air Force airmen participate in a training exercise at Bagram Airfield in Afghanistan on February 21, 2019. American troops at war in Afghanistan were involved in a Wednesday gun battle following twin suicide attacks close to the airport in the eastern city of Jalalabad, according to Stars and Stripes. The report said an “hours-long” firefight developed after two terrorists blew themselves up at the gates of a Nangarhar Province construction company. After three remaining enemy fighters then “stormed” the site, U.S. troops joined the Afghan forces in fending off the pre-dawn attack. As of Wednesday, Stars and Stripes was reporting that “at least 17” Afghans were confirmed dead in the battle. This week’s bloodshed is a stark reminder of the dangers our brave men and women in uniform still face across Afghanistan. With 14,000 Americans still in a combat zone where violence can erupt at any moment, it is more important than ever for the public to stay engaged in the conflict’s day-to-day events. Truly supporting our troops involves more than just waving American flags. We must keep our country’s deployed warriors and their families at the forefront of our daily thoughts and prayers. At long last, some positive news is trickling out of war-torn Syria. Reuters reports that 400 ISIS fighters were captured on Wednesday by the American-supported Syrian Democratic Forces in Deir Al-Zor Province, which is in the eastern part of the country. While capturing terrorists is always good news, this Wall Street Journal story reminds us of the challenges that come with guarding thousands of enemy combatants. The 400 militants captured on Wednesday join more than 2,000 terrorists already jailed in Syria. 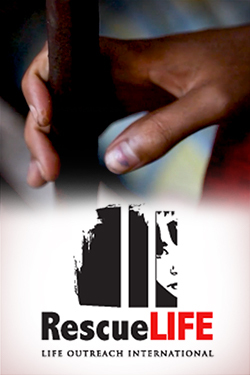 It is now up to military and civilian leaders to figure out what should be done with these dangerous prisoners. In Iraq, a coalition airstrike reportedly killed eight ISIS terrorists in a desert hideout located in Anbar province. On Monday, Iraq’s Ministry of Defense said explosive materials were also destroyed in the U.S.-led assault. Thank you to the thousands of American heroes risking their lives in what is arguably the world’s most dangerous region. We are praying for your swift and safe return. Soldiers from the U.S. Army’s 40th Infantry Division are thankfully back from a nine-month deployment to Afghanistan. 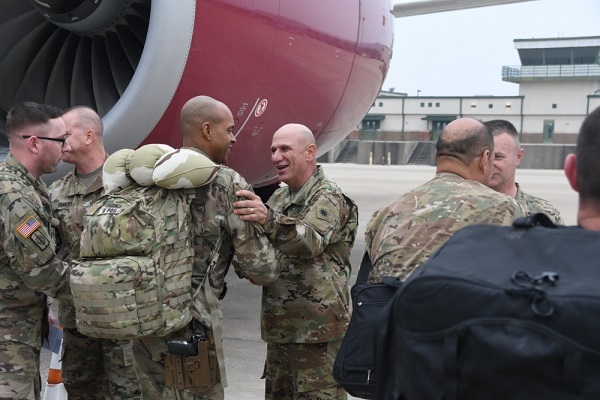 U.S. Army soldiers return from Afghanistan on March 1, 2019, at Fort Hood in Texas. Thank you for your service and welcome home, heroes!